Create an Instagram account to share photos and videos with friends and followers. There are more than a billion active users per month, so you’ll get lots of followers for your profile. Similarly, you’ll find a lot of interesting accounts to follow. It is a popular social network among celebrities as well, so you can follow your favorite celebs when you sign up for the Instagram account. How to create an Instagram account? IG Sign Up. There are two ways to create a new Instagram account. You can sign up an Instagram account via its official website using web browsers. Download the Instagram app and register to Instagram via the app. Open Instagram.com from FireFox, Edge, Chrome or Safari. 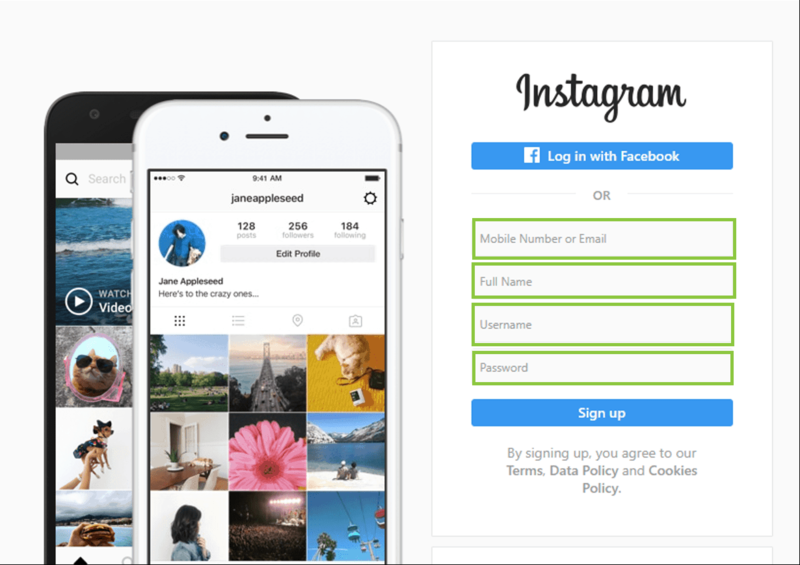 At the left side of the Instagram home page screen, you will see sign up box using which you will be able to create a new Instagram account. 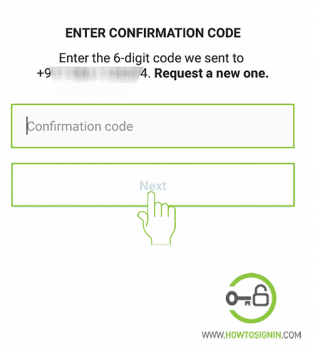 You can open an account using a mobile number or email address. Always use a genuine email address or phone number as you will receive a code to verify your account. Enter whichever option is suitable for you. Provide your full name, and it is also the display name for your Instagram account. 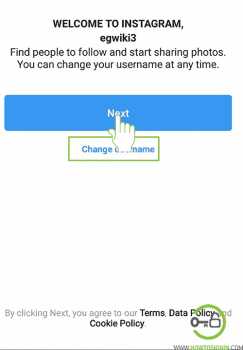 Create a username for the Instagram account. The username you want may not be available, so try another or add number or alphabets in the desired one. 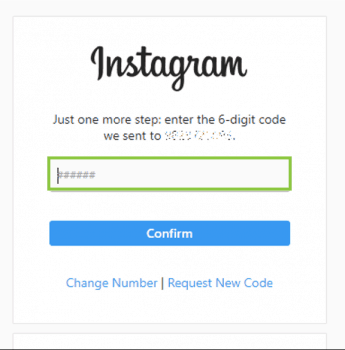 Finally, enter a strong password for your Instagram account. Always mix different case letters, numbers, special characters to make a unique password. Now hit Sign up to go through. Now you will receive a verification code on your mobile or your email inbox whichever you have entered during sign up process. Check the inbox to see the verification code and enter that code in the box shown below. 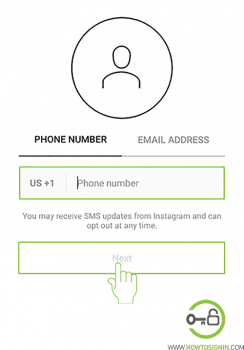 Hit Confirm to complete Instagram sign up. You can open a new Instagram account with Facebook. It’s the fastest way to register a new account if you have a Facebook account. Getting access to the Instagram account using the mobile app is the best way to use its full features. You can get instant notification, instantly take click a photo from your mobile and edit it with the Instagram default photo editor and post it. You can also upload the photo or videos directly to connected Facebook or Twitter account at the same time. Download the Instagram app for your device. Open the Instagram app from the menu. Tap on Sign Up With Phone or Email. 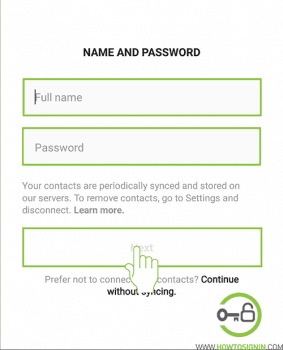 Enter your phone number and tap Next. 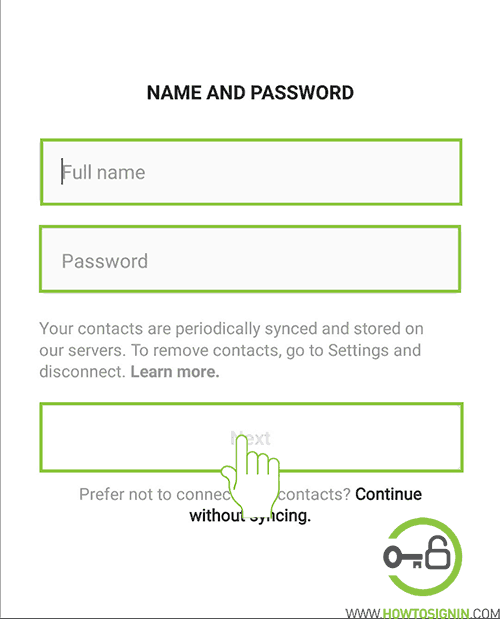 Don’t want to give your phone number? Tap on Email section, enter your email address. 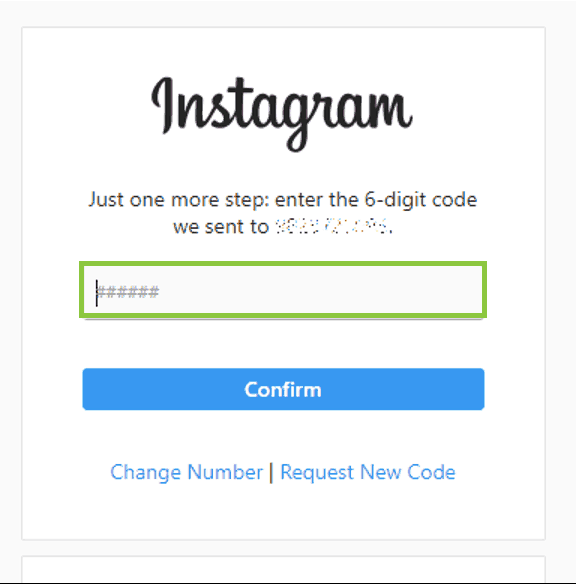 Now check your email or mobile inbox where you will find the email from Instagram with a verification code. If you didn’t get verification code to your inbox, then Request a new one. Enter the code you received and hit ‘Next’. Enter your Full name which will also be your display name on your new Instagram account. Make a strong password for your profile. Finally hit Next to complete Instagram account registration process. Now you can start taking pictures, videos, edit it with the default editor of Instagram and share it with your friends and families. 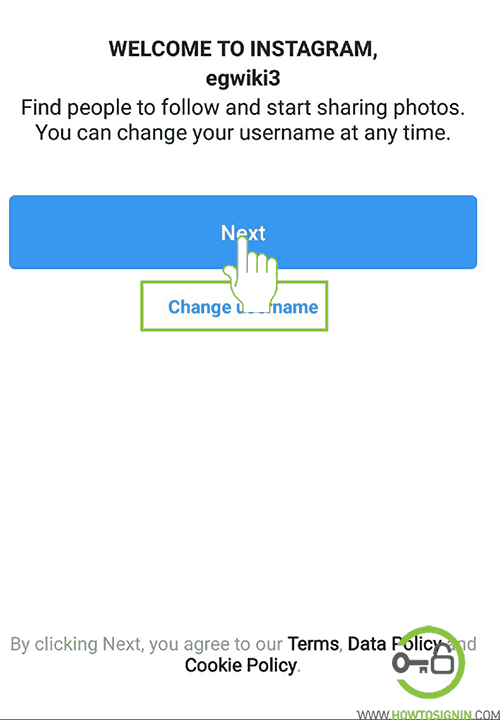 You can also change username if you do not like Instagram username given by default. You can register a new Instagram account with Facebook. Tap on that option, and you’ll log into the Instagram account. Do you want to add multiple Instagram account to your app? There are various ways to create a second Instagram account. You can simply follow the above-mentioned process to create an account with a different email address or phone number. Tap on profile icon on the bottom right corner. Select the setting icon right beside Edit Profile. Scroll to the bottom and tap on Add Account. Tap on Sign up. And follow the registration process.